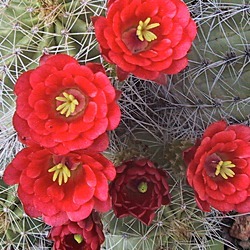 Purchases will generate a 20% donation to CSSA. 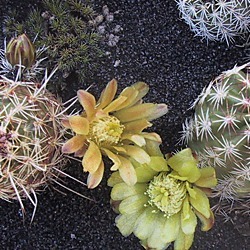 In this group there are a lot of different shapes sizes, and a wide range of flower colors too. 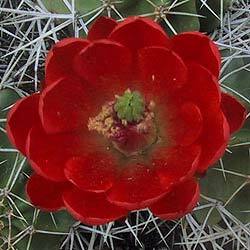 This is a very large and diverse genus with about 60 species in the western United States and perhaps 100 or so species Mexico. 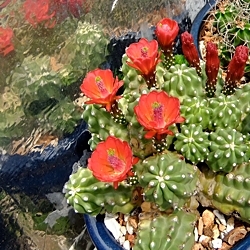 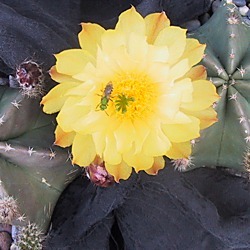 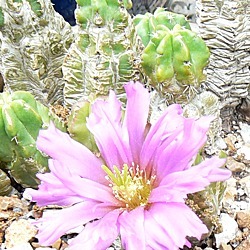 These cacti grow in a wide range of soil, temperature and light conditions, and are mostly low to the ground small stemmed plants. 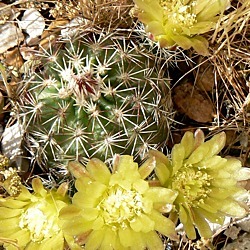 A few varieties are small single stemmed plants, but most are small stemmed plants that tend to clump. 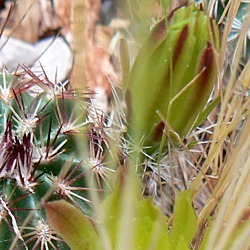 Many species can produce impressive colonies of stems around 2 - 5 feet across, but rarely more than a foot high. 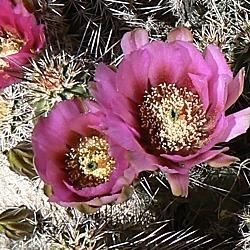 Some species grow out in desert conditions where they sometimes appear to be growing out of sun baked rocks, but many more species grow in areas shaded by sparse pine growth or often hide in grass. 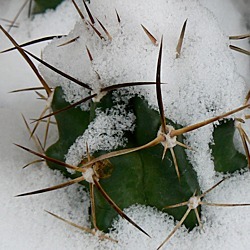 The stems are soft, allowing the plants to shrink in the winter and become even lower to the ground. 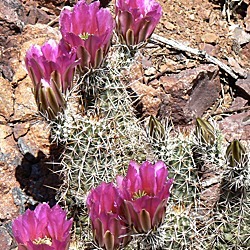 This low growing habit helps them survive in cold climates, and their habitat ranges from lower planes near sea level to alpine conditions often with harsh cold winters. 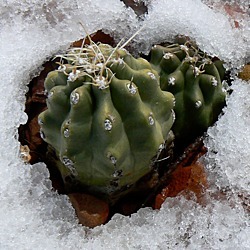 A few species are cold hardy to at least zone 3, but it is important to keep them very dry in the cool weather season. 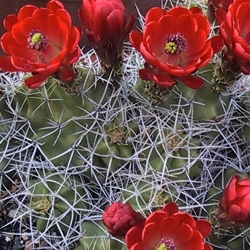 When they shrink in preparation for winter it is counterproductive to give them water, because during this winter rest period shrinkage is a normal part of their cycle of life. 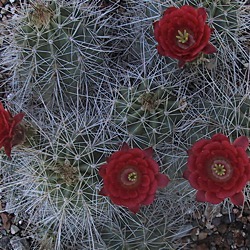 Echinocereus flowers break through the skin of the stems, which is considered one of the features of this generic that distinguishes it from other cacti. 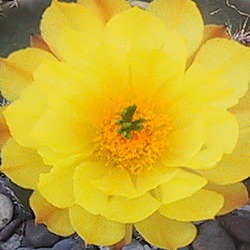 The flower colors range from; yellows ,pinks, magentas, purples, and from orange through intense reds. 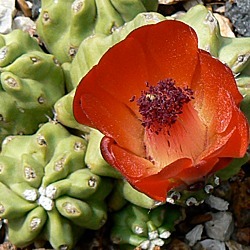 Some species have a strangely interesting color spectrum with chartreuse and bright greens, then ranging from these greens into russet orange colors which in some cases appear almost brown. 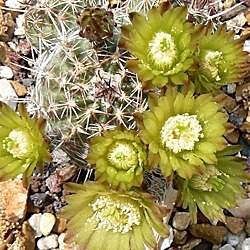 The green and russet range of colors are usually small flowering varieties, with impressive multiple flower displays that can go unnoticed in their grassy hiding places. 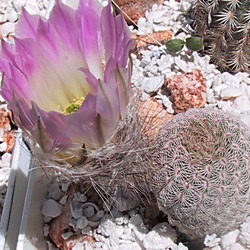 In the warmer color spectrum some single stemmed species make impressive larger flowers, and multiple stemmed plants often have multiple blooms to turn out showy beautiful flower displays. 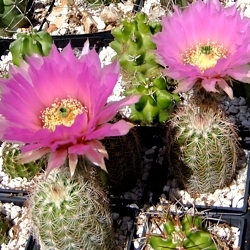 Echinocereus species are frequently grown in propagation, and are generally an easy fast growing cacti to grow from seeds. 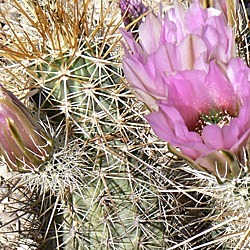 The first part of their name means hedgehog cactus as they are usually small and spiny, and the seed pods are like little hedgehogs. 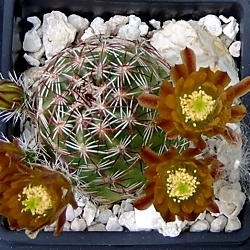 Sometimes they are called 'Sea Urchin Cactus' and in this case looking like live sea urchins with plenty of spines. 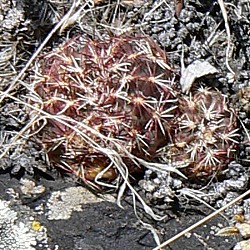 Spin appearance does vary a lot in length, and spine growth of the plants range from heavily spined to having almost no spines. 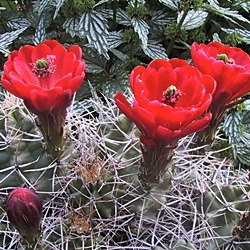 The second part of their name means 'candle' and for the most part stems are taller than they are wide like small candles. 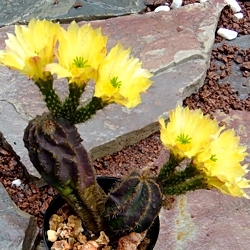 This is a large generic of cacti and there is a great deal of variation in stem appearances from squat globular to long sprawling stems. 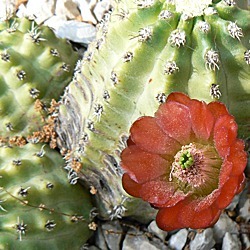 Click on the thumbnail below to view seed and plant purchasing information.